Spencer and his mom, Cathy, came to me with two goals, headshots for college applications and senior pictures. 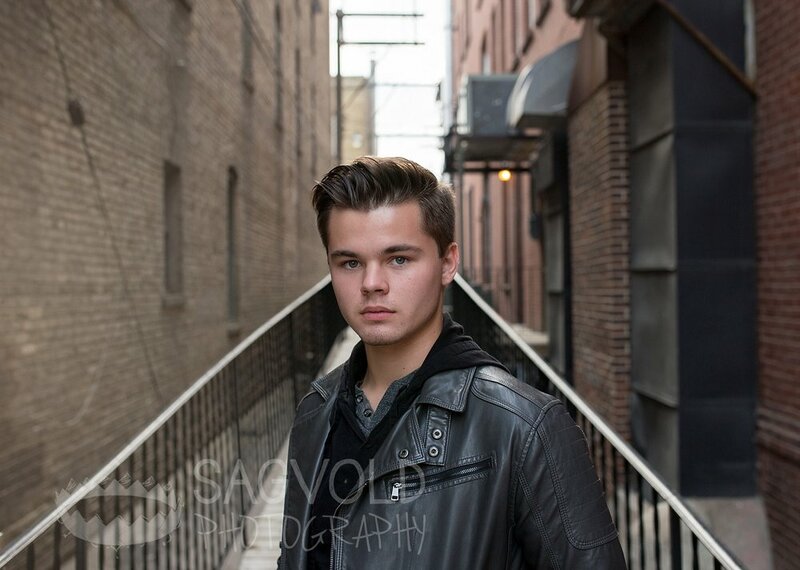 Spencer is applying to college to be an actor after graduation and needs amazing headshots. Lucky for Spencer, he is super photogenic. I posted one picture of Spencer on Facebook and someone commented that he looked like Leonardo DiCaprio. 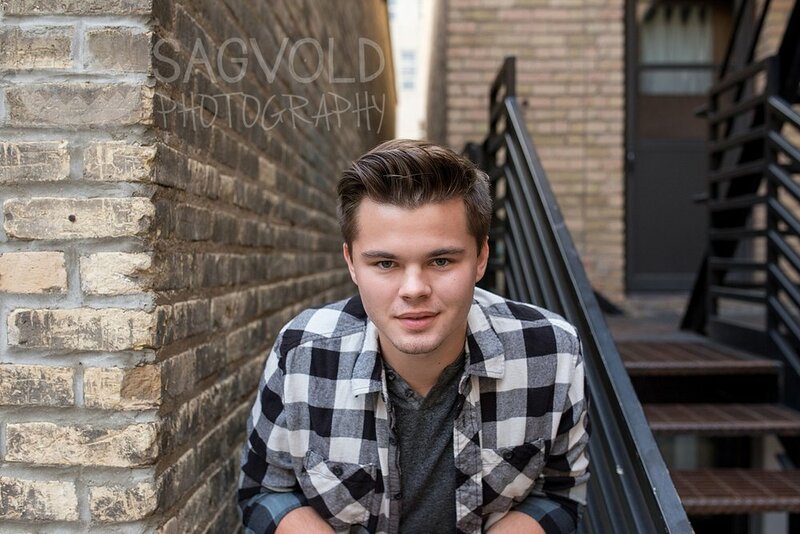 You wouldn’t know it by looking at his pictures, but this handsome and artistic high school senior is so fun and animated. When the camera came up, he was ready and posing for the next shot. When the camera was down, he was laughing, singing, and dancing. Oh and if his socks could talk they would tell of his playful personality. 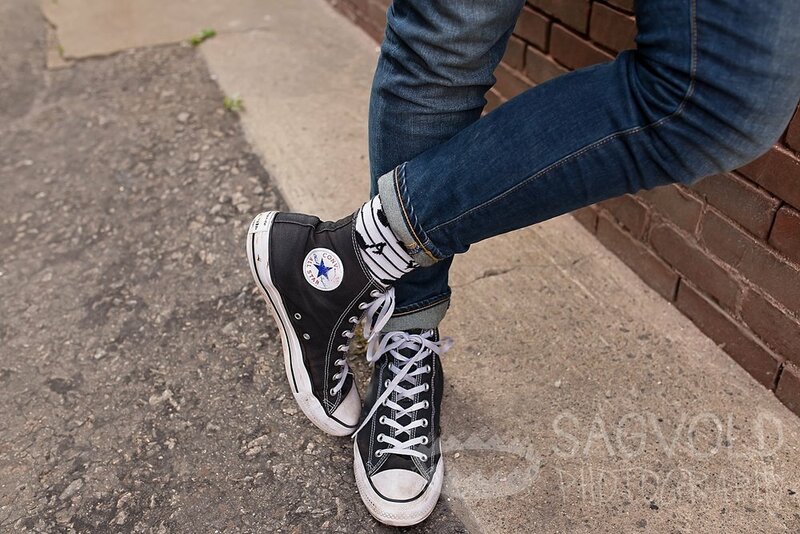 Spencer has quite the collection Converse® shoes too, from classic black and white to a pair of Campbell’s Tomato Soup. I do have to brag a little more about this kid. Spencer starred in Trollwood’s theater production of Disney’s Beauty and the Beast. I went twice. It was brilliant. Can anyone guess which part he played? I do have to say that my favorite part of the session was witnessing the support he receives from his mom, Cathy. Their relationship is so endearing. I am so glad I got to witness their dynamic. Spencer is a teenager and yet laughed with his mom, told her about his day at school, about is friends, and this relationship is a goal of what I hope my relationship will be with my boys. 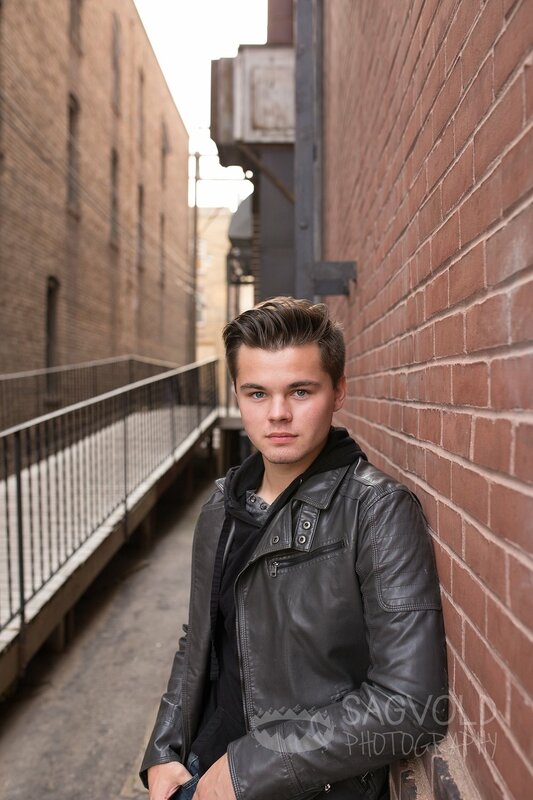 Spencer, Cathy, myself, and my amazing assistant and niece Shelby, started the session downtown at one of my favorite alleyways. It has a cool bridge and is next door to one of the best little vintage shops in the state, The White House Co. We walked around downtown a little, and also drove around to find some other hidden treasures in Fargo, ND. All in all, I could have hung out with them all night.